Source. From whom we learned. Sri Kaleshwar was an highly regarded yogic master from India who learned the holy science of Vaastu from masters in this Vedic knowledge. Kaleshwar built a center for meditation and advanced spiritual practice in south India using Vaastu principles, and gave personal consultations to people from all over the world to improve their living space. His experiences lead him to a new understanding and approach to these ancient Vedic teachings. He called this new approach Kaleshwara Vaastu, a Vaastu for the needs and requirements of our present time. 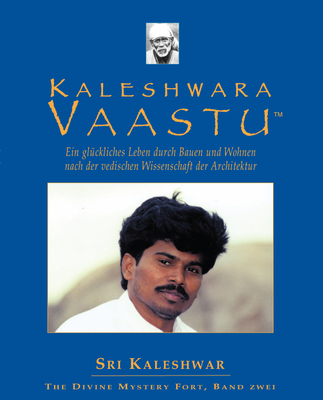 Sri Kaleshwar is author of the book “Victory through Vaastu – transforming your life through the ancient science of vedic architecture”. It’s better to live in a hut under a tree than to live in bad Vaastu. Vaastu is one of the greatest treasures of ancient India. “Vaastu” – which means “to dwell, live, stay, reside” – has been developed over millennia into a science that works in accordance with the eternal laws of nature. This science enables the design of homes and work spaces which work in harmony with nature, through understanding and honoring the inner energy of the elemental forces existing behind all of creation.